After a four year wait, SHIRTLIFER #5, containing the conclusion of “Unpacking”, is only a few revisions away from being done. We are close. Very close. “Getting ready for printing” close. 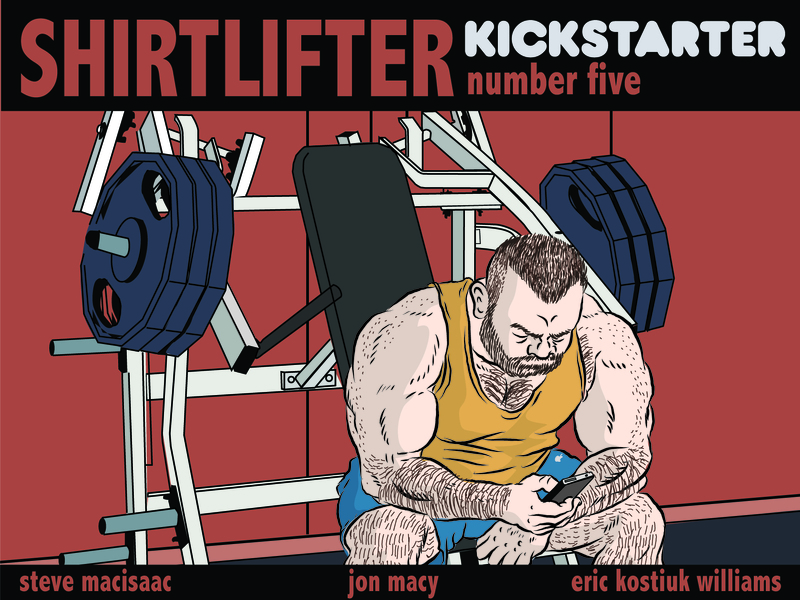 In order to help me get it into the world after four years, I have set up a Kickstarter page to help fund #5. If you have been waiting for a while to find out how the story I started in #3 ends, this is your chance. Ian Parks put together a great video talking about my process and the new issue – you take a look and, if you can, help spread the word. The campaign went live at the beginning of the month, and I have managed to exceed the goal. The extra funds I have raised so far will allow me to upgrade the paper stock to the heavier paper I used for #4. Kickstarter donors will be shipped their copies early, as soon I receive them back from the printer (mid-May). The book will be available through retail and amazon at the end of June. It’s going to be 100 pages, full color, 88 pages from me and additional comics from Jon Macy and Eric Kostiuk Williams. Thanks for your patience and understanding. Almost there!